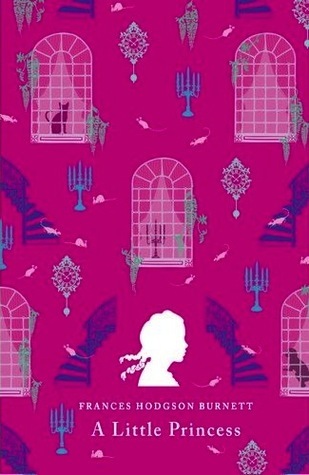 A Little Princess tells the tale of Sara Crewe, a young girl who is entered into a formal boarding school for girls. The rich and privileged daughter of a Captain, Sara travels from India, where she was raised for most of her early life, to London where her new boarding school awaits. Separated from the father she loves, Sara nevertheless promises to make the best of her situation; she proves to be an excellent student, is kind to the other girls and becomes the most interesting person in the school because of her talent for telling vivid stories. But then TERRIBLE THINGS happen that made me cry into my pillow for a good ten minutes fuuuuuu Frances Hodgson Burnett and Sara's life is changed completely. She loses her status, becoming a servant in the same boarding school, is forced to live in the attic and is treated awfully by just about everyone around her. The story follows Sara as she deals with all the changes in her life, learning to be kind and brave in the face of adversity. The novel is, in a lot ways, a how-to guide for little girls. In that sense it's not really very different from many of the other novels from the time period, since there were very specifics societal expectations for young children, especially little girls. Sara's belief that all girls are princesses and should behave so stems from those expectations. But I think A Little Princess is more than it what appears to be at first glance, and that's why it remains so popular. Sara has her own personality; she is serious, fiercely intelligent and unwilling to ignore the injustices she sees happening around her. In the kind of society that disapproved of children displaying childish traits, Burnett gives us a story in which our main character uses her imagination to navigate a world in which is unfamiliar and hostile to her. Despite all their differences, her stories give hope and pleasure to every girl in the school including Becky, the scullery maid. Think of Alice in Wonderland, another story in which imagination creates an entirely new world which serves as a parody of the rules and societal expectations which make no sense to a little girl. Sara is kind, which is a trait all girls were (and still are) expected to have but her kindness extends past class boundaries; she becomes close friends with a maid and never forgets the treatment she receives as a servant, which is a big part of the ending. It might also just be me being emotionally fragile but this book made me cry so much. Sara's misfortunes, her kindness, particularly in one scene where she looks past her own hunger and gives the little food she has to another suffering child, and the way in which she understood that her imagination was the freedom in which she could escape to for a while. Basically if you are anything like me this book will have you sobbing into a pillow for a good long while. I loved this novel, and for a classic it's not so long nor is to hard to read. There is a lot going on under the surface of the book, including gender, empire, and social commentary so if you're interested, or you have to study this book, there are endless things to research and/or write about. Classics are awesome, yo. But why would you include that quote *sobs* Once again, I am linking it to Spartacus. This was one of my favorite books when I was a kid. I read it all the time, and cried, and then read it again. Loved the movie with Shirley Temple as well. Since you've read the boo, you now need to watch the movie! For a moment there, I thought you didn't like this and I was shocked and appalled, but then you said there was more to it than being the ideal girl of the period. Ah, joys. Seriously, I need to look up Frances Hodgson Burnett's books that are not this one and The Secret Garden, because obviously everything she writes is magical, based on those two. Man, I loved this book so much. For my birthday one year (I was maybe 7? 8?) I was allowed to go into a bookstore and buy anything that I wanted up to a certain price. It was the best gift ever. I ended up buying this gorgeous hardback copies of A Little Princess and The Secret Garden amongst other books. And I went home and read this book first and CRIED FOREVER.